4 out of 5 based on 40 ratings. The novel, set in early 19th century England, details the romantic adventures of Elizabeth Bennet, a member of the minor gentry, as she deals with society’s expectations. Elizabeth’s mother is preoccupied with marrying off her five daughters to rich men. The Bennet family has no male heir, and the estate will pass to a male relative upon the death of Mr. Bennet. Wealthy Mr. Darcy initially appears to be a good prospect but reveals himself as proud, rude and insulting. Elizabeth, stung by Mr. Darcy’s behavior, continues to rebuff him even after he falls for her frank personality and sharp sense of humor. When Mr. Darcy helps extricate Elizabeth’s foolish sister, Lydia, from a scandalous situation, Elizabeth’s attitude begins to soften. 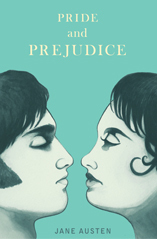 She begins to question her own prejudices toward Mr. Darcy and wonder whether she has been entirely fair to him. Pick up a romance novel and get ready to be enthralled into the lives of the love struck, heartbroken, and lustful. Nicholas Sparks and Jane Austen are known authors to take readers on an emotional rollercoaster, dragging into the tender minds that conflict with one another, and pinpointing the devastating differences that could break up an unconditional love. Walk with the characters as they rise above their disparities and let their development unfold to what is known as a great love story. Romance novels explore the realm of deep emotion, particularly love and affection that leads readers on a path from the first stages of lust and desire to the intense development of adoration and passionate love. Romance books are comprised of two elements: a central love story and an emotionally-satisfying and optimistic ending. Read about historical romance novels or contemporary romantic e-books for an understanding of loyalty and modern-day issues that can relate to the everyday person. The stages of the best romance books revolve around conflict. It could either be a dispute between two lovers that could force their relationship to crumble and collapse, having to work on issues that create growth and development. These phases entice readers to continue reading, eager for a blissful resolution that is more commonly known as a happy ending. Find a large selection of free romance novels on Freebooks.com. Feel free to read reviews and rate these books as well. Download these romance e-books for free with just a click of a button.